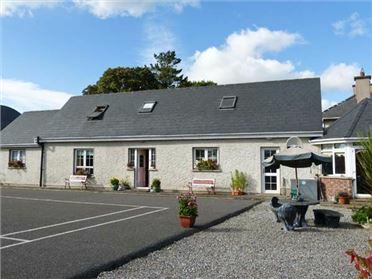 Biddy's Cottage is a detached cottage set in the village of Brinlack, in the Gweedore region of County Donegal. 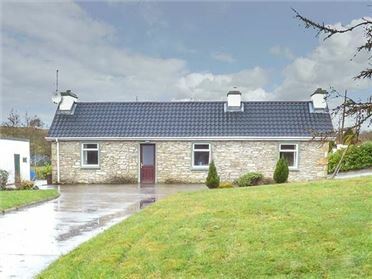 This single-storey cottage sleeps six people in three bedrooms, consisting of one double, one single and one family room with a double and single bed, as well as a family shower room. 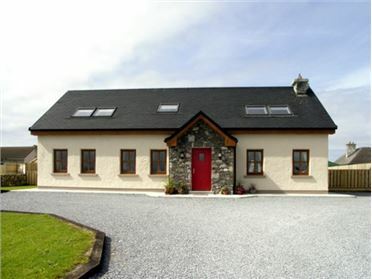 The cottage also has a kitchen with dining area and a sitting room with open fire. 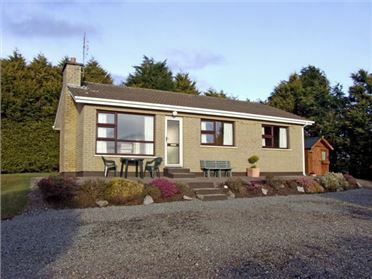 Biddy's Cottage is an ideal base for visiting all the interesting sites that can be found in this part of the Emerald Isle. Oil central heating with open fire. Electric oven and hob, microwave, fridge, freezer, washing machine, dishwasher, TV with Saorview, DVD, selection of books, games and DVDs. Fuel, power and starter pack for fire inc. in rent. Bed linen and towels inc. in rent. Cot. Ample off road parking. One well-behaved dog welcome. Sorry, no smoking. Shop 5 mins walk, pub 1 mile. Beach 8 mins walk.